Santa Fe was the first foreign capital captured by the U.S. An unbelievable influx of men occurred, but nary a word has been written about how that affected the New Mexican women. Until now. I grew up in Santa Fe and spent summers in Texas, but now make my home in Los Angeles with my husband, two sons, a dog, a cat and two quarrelsome parakeets. 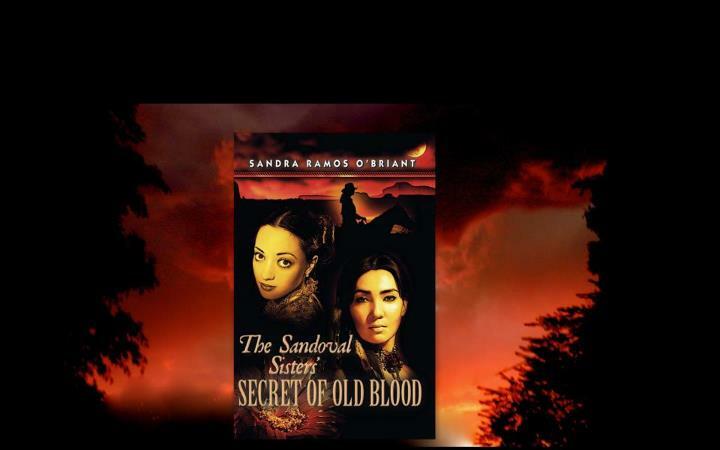 Oratoria Sandoval: "I first entered the Sandoval compound a barefoot slave . . . Estevan had traded for me—a bag of flour for a ragged peasant girl of five—after I had been captured by Apaches in Mexico. He brought me to this high mountain desert, to Santa Fé, the City of Holy Faith, as a wedding present for his bride. I became doña Teresa’s favorite, who was sixteen and far from her family in Mexico City. She taught me to read and to cook, and christened me Oratoria because of my skill with languages. 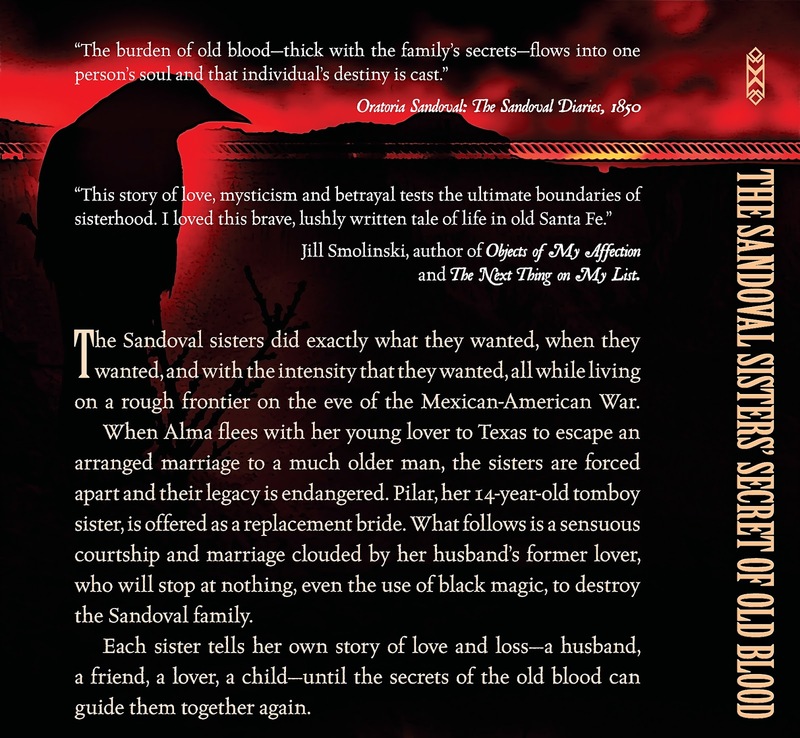 Alma Sandoval: "I’d been in the grip of ancient memories, reciting a list of family secrets that stretched back for centuries. I’d developed an eccentric reputation in Santa Fé, even for a Sandoval. I wasn’t sure if the memories were from an unknown part of my mind, or if they came from reading Sandoval diaries when I was much too young." Pilar Sandoval: "I’d read a few . . . Bunch of whiners and schemers, if you ask me. I like creatures who are half this and half that, in myth's and biblical stories, not in my flesh and blood relatives." The first chapter can be found here and here. 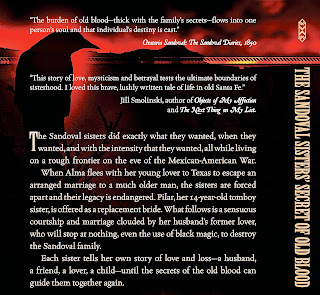 The sequel to The Sandoval Sisters' will follow the next generation of this uniquely blended family into the 20th century. An excerpt from the first chapter is at the end of the book. *A few of the 5-star reviews from Amazon. Thanks for the background, Sandra, this is not a place or time I knew anything about until now. Even though I grew up there, Richard, we were not taught how the U.S. philosophy of Manifest Destiny affected New Mexico. Perhaps I was playing hooky that day. I'm not sure I've read a book like yours, Sandra. Will definitely check it out. Thanks for showcasing the characters. 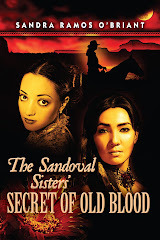 Kiru, lots of books on mail order brides or women captured by Indians, but nothing in this time period on Latinas. The anecdotal comments from the period depict them as deferring to their husband, fathers, brothers and priests, or brazen because they wore no corsets and smoked. For the most part they're ignored and the focus is on the men and any white women who happened to venture across the Santa Fe Trail.